Can Meditation Help Anxiety & Depression? Can Meditation Help Anxiety and Depression? In National Public Radio's "Mindfulness Meditation Can Help Relieve Anxiety And Depression", Allison Aubrey explores the topic of how Mindfulness Mediation can help to alleviate symptoms of both anxiety and depression. Aubrey reviews several studies to determine if mindfulness training and meditation can decrease anxiety and depression, and she explores the concept of mindfulness meditation as an option to relieve mental health issues by training the brain to stay in the moment and to let go of the regrets of the past as well as anxieties about the future. She reviews several techniques that include visualizations to help release negative thoughts or anxious feelings, progressive muscle relaxation as well as body scans and other relaxation methods. 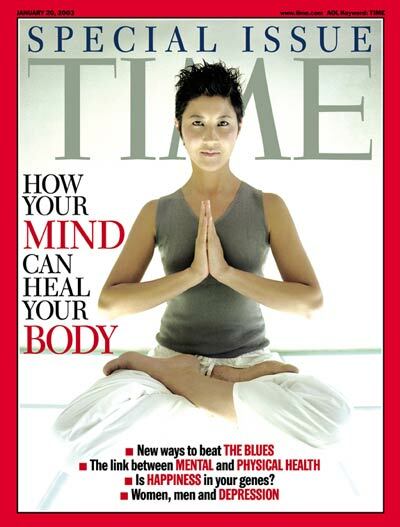 Of one of the studies that she discusses, she indicates that “This study reviewed earlier research that evaluated the effectiveness of meditation for managing a whole range of medical conditions — from breast cancer, irritable bowel syndrome and fibromyalgia to depression”. Aubrey also refers to another study, where “researchers enrolled 163 women with stage 1 or stage 2 breast cancer. The women were randomized to either an 8-week mindfulness-based stress reduction class or to other kinds of more standard supportive care. With diseases like breast cancer, meditation is not used as a treatment for the disease. It's supportive care designed to help a person deal with the stress that comes with cancer.” After four months, the women who meditated experienced significant improvements in what the researchers called quality of life and coping outcomes, compared to the women in other groups. 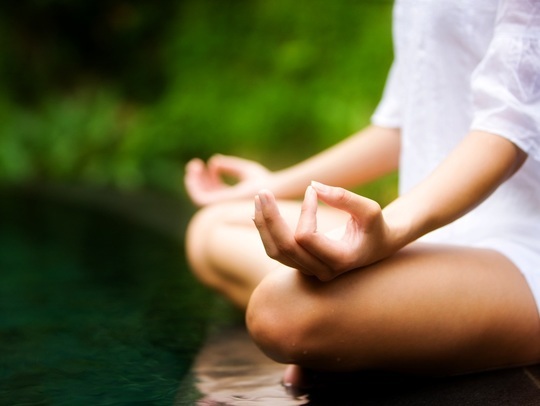 She does note that there are other studies that indicate that there is little evidence supporting that mindfulness meditation has significant impact in managing mental health issues such as depression or anxiety, or physical health issues such as cancer or IBS, however there are no negative side effects to this alternative treatment. The author concluded that while mediation may not be helpful for everyone, it is not harmful and can be viewed as an alternative approach to treatment. According to an article on Health line, it is estimated that 1 in 10 people are affected by depression at some point in their life. Depressive symptoms occur naturally when one goes through a life struggle such as a loss of a loved one, medical issues, financial struggles, or loss of a job, and there is a clear difference between feelings of sadness and clinical depression. “Approximately 6.7 percent of American adults−about 14.8 million people−live with major depression. About 9.2 million adults have co-occurring mental health and addiction disorders." It appears that there is a continual increase in those experiencing stress or mental health issues. Many people with depression or anxiety use medication to manage symptoms, and others may need additional approaches to managing their symptoms, which include meditation for stress reduction. Still others prefer a completely holistic approach over medication, so it would be reasonable to consider alternative approaches to treating anxiety, depression, other mental health issues, and even medical issues. While the studies indicate that there is some improvement noted using mindfulness meditation on anxiety and depression, the evidence for medical issues and substance abuse issues indicates that there is little improvement with this approach. However, the studies have not found any negative consequence to using this approach with medical issues, mental health issues or substance abuse issues. Because we are all individuals, this approach may be more beneficial to some versus others. In addition, if there are no consequences to trying this approach - it is a free alternative to medication and can be done anywhere. I believe it is an optional approach to treatment for depression and anxiety and other issues. I believe a key factor in having success with mindfulness meditation would be proper training by a practioner on how to use the approach and commitment to practicing and using the approach by the patient. With the increase in mental health issues in our society, alternative approaches such as mindfulness meditation should continue to be studied. Stress kills! That phrase has become more and more prevalent during medical conversations across America, and all to often it has become a topic of conversation for the loved ones left behind when a family member suddenly passes. The phrase may have even become somewhat prophetic in American society during the 1950's when frustrated men would die at the age of 50 due to heart attacks. So . . . How does stress continue to go unchecked in our society in the modern day? Anxiety disorders and depression are often ignored, delayed, or misdiagnosed in America. The often-suppressed symptoms routinely cause the carrier stress be it physically, mentally, or emotionally. This stress frequently manifests itself into physical ailments, mental disorders, and emotional distress that lead to chronic illness, instability, and even death. As this article explains, this alternative tool (meditation) is becoming more acceptable to practitioners in the treatment of anxiety and depression. Meditation is free to do. Meditation is not dependent on a location. Meditation does not require a guide or group to facilitate. Meditation does not have to be a part of spiritual experience. It's always an option! However, stress, in every form, is often attributed as a factor when diagnosing medical conditions, and meditation alone should not be used as the sole approach to the healing of any physical disease such as cancer or diabetes. However, meditation when combined with routine medical attention from a physician has proven effective in battling the stress contributed to a disease and/or its treatment. Simply put - Meditation cannot hurt, but it certainly can help. Aubrey, Allison (January 7, 2014) Mindfulness Meditation Can Help Relieve Anxiety And Depression. Retrieved from http://www.npr.org/blogs/health/2014/01/07/260470831/mindfulness-meditation-can-help-relieve-anxiety-and-depression.